In addition to Standard Process our practitioners use HVS Homeopathic Formulations to relieve symptoms and health issues caused by disruption in the nervous system. essentially – homeopathy reaches the places deep inside the body and mind that the chiropractor cannot reach. 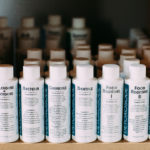 Our practitioners leverage the use of homeopathics to support their chiropractic care and nutrition testing in balancing the whole nervous system, improving patients’ ability to think more positively, and even correcting recurring subluxation patterns.